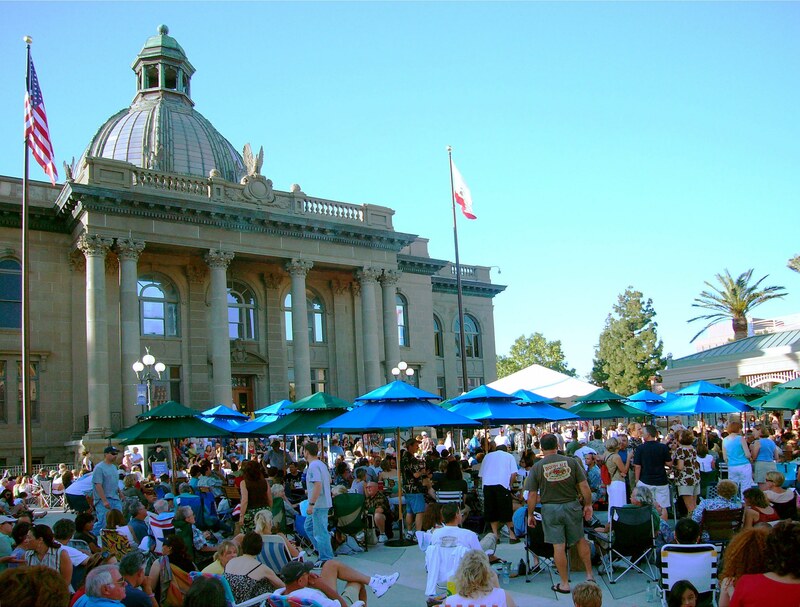 A crowd enjoys a concert in Redwood City's Courthouse Square. The Courthouse dates to 1910. Redwood City (population 82,881) is the county seat of San Mateo County, California, and is located 27 miles south of San Francisco on the eastern shore of the San Francisco Peninsula. The area that would become Redwood City was originally a part of the 69,000 acre Arguello family ranch, an early Spanish ranching settlement that later came under the ownership of Simon Mezes. Mezes subdivided the ranch and established the settlement of Mezesville. During the 1850s, the lumber industry flourished in the region, providing the burgeoning settlement of San Francisco with valuable redwood lumber and spurring construction in San Francisco and other settlements on the peninsula, including Mezesville, which became known as Redwood City. Redwood City was an ideal location for the development of a lumber industry because of its location on a natural deep-water channel that provided access to the San Francisco Bay. In 1856, San Mateo County was established with Redwood City as its county seat, and the completion of a railroad in 1863 furthered development on the Peninsula. Redwood City was incorporated in 1868 and experienced substantial growth in the latter half of the 19th century and during the early 20th century. It was visited by historic figures such as Wyatt Earp, who frequented the Alhambra Bar Downtown, as well as Presidents Herbert Hoover and Benjamin Harrison. 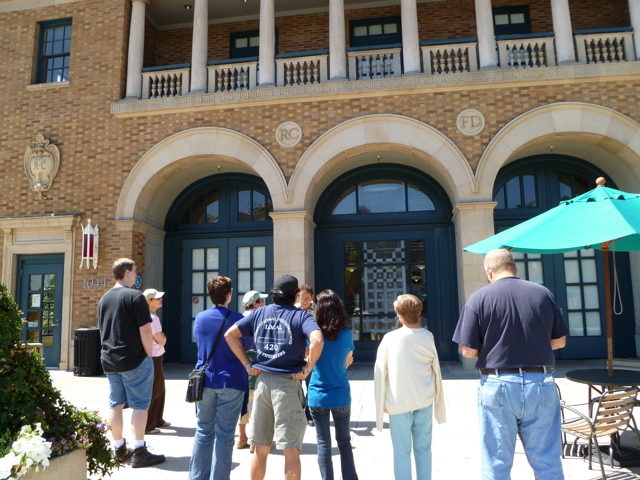 In October 2010, Redwood City's Historic Resources Advisory Committee and Planning Commission, in partnership with Wells Fargo, the Redwood City Civic Cultural Commission, the Peter and Paula Uccelli Foundation, and the Redwood City Library Archives established the Path of History, a self-guided walking tour with an informational kiosk and commemorative sculpture. 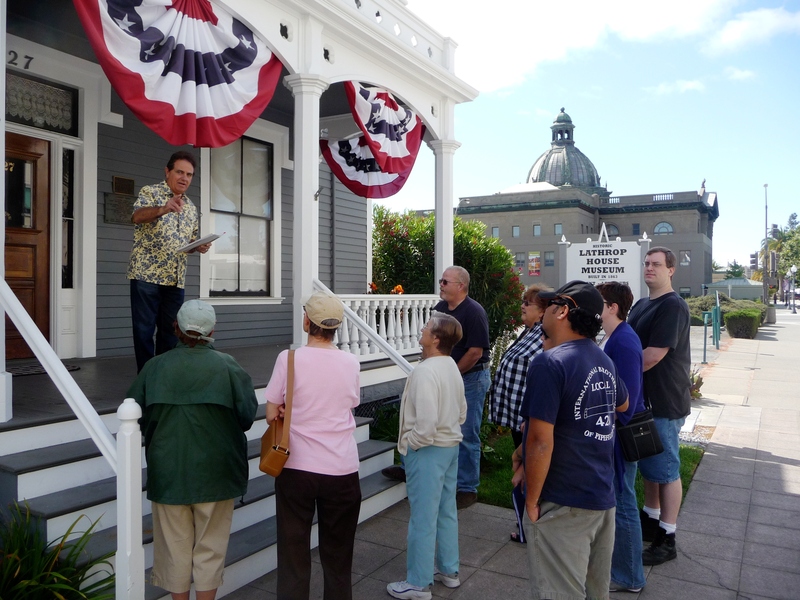 The Path of History includes 12 sites within downtown Redwood City and features historic and cultural landscape resources dating from 1850-1920. It includes significant municipal buildings such as the San Mateo County Court House (1910), the Bank of San Mateo County Building (1900), and Redwood City's Fire Station No. 1 (1920, now the Redwood City Library); commercial buildings such as the Diller-Chamberlain Store (1859) and the American Hotel/American House Site (1853); the former site of Embarcadero & Turning Basin Site/Redwood Creek (1850, the founding site of Redwood City); and the historic house museum in the Lanthrop-Connor-Mansfield House (1863). Interested visitors are also encouraged to visit the Redwood City Archives in the Redwood City Library, featuring among its collections 150 years of bound and microfilmed local newspapers, more than 85 years of local high school yearbooks, hundreds of city and county maps dating from 1856, and thousands of historic photographs depicting Redwood City and the surrounding area; as well as the San Mateo County History Museum located in the San Mateo County Courthouse. Redwood City is also located close to beautiful and unique natural resources such as the Purisima Creek Redwoods Open Space Reserve and the Don Edwards San Francisco Bay National Wildlife Refuge. 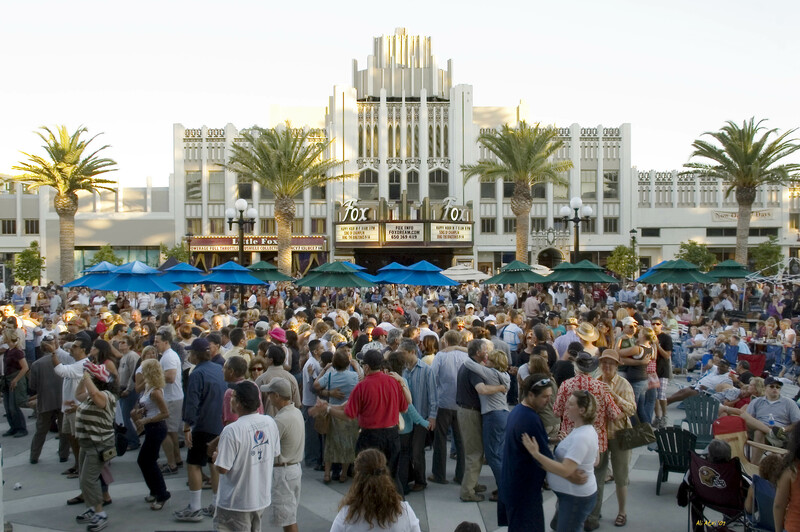 Redwood City has been active in historic preservation since 1977 and now features five historic districts, several historic resources listed on the National Register of Historic Places, and many others that are locally designated. Designated a Preserve America Community in June 2016.